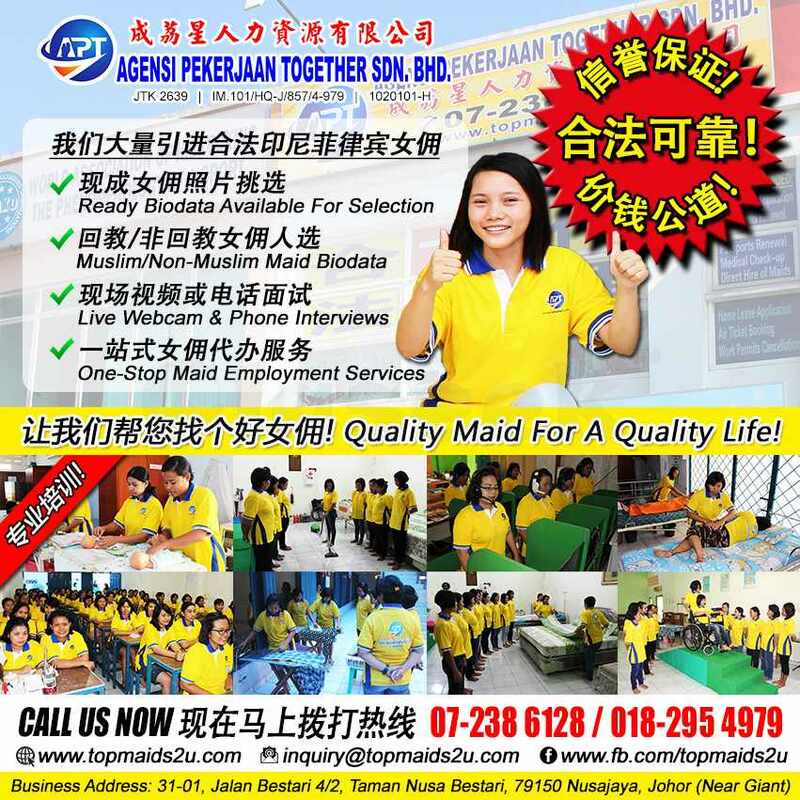 Agensi Pekerjaan Together Sdn Bhd is an established and legal maid recruitment agency, licenced by both Jabatan Imigresen Malaysia(IMM) and Jabatan Tenaga Kerja Semenanjung Malaysia(JTK). Our business address is located at No. 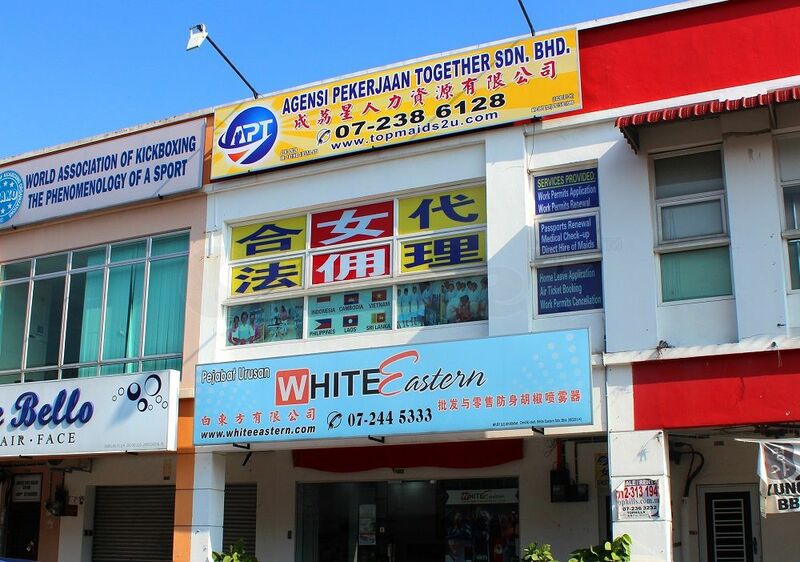 31-01, Jalan Bestari 4/2, Taman Nusa Bestari, 79150 Nusajaya, Johor. Our company strives to fulfil all needs of our clientele by offering customised maid employment services, constantly ensuring a hassle-free and peace of mind experience. Providing our clientele with the most suitable domestic helper candidate and meeting their requirements are our utmost important business goals. In order to successfully deliver quality services, we had established many efficient global recruitment networks to scout for that perfect match for them. 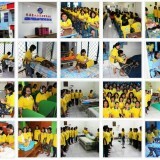 We also established the best training system to educate our housemaids, both locally and overseas. 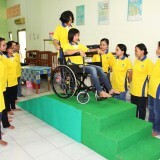 Ensuring all necessary skills and attitudes that are relevant to their day-to-day duties are imparted to them. ✔ Readily available biodatas of quality maids from Indonesia and Philippines, live webcam interviews with Indonesia maids and Filipino maids candidates are also available. ✔ Legal maid employment agency licenced by both Jabatan Imigresen Malaysia(IMM) and Jabatan Tenaga Kerja Semenanjung Malaysia(JTK). ✔ Reasonable agency fees for efficient and professionally managed agency services. ✔ Fully comprehensive after-sales support services, including free maid consultation and maid management support by professional advisors. ✔ Applications services for new, transfer and direct hire maids. ✔ Renewals of work permit, passports, insurance and body checkup(FOMEMA). ✔ Air tickets, transportations and home leave arrangements of maids. ✔ Temporary hostel stay for maids.